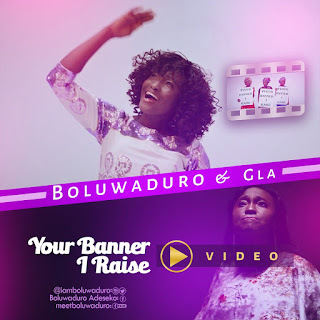 Boluwaduro releases the highly anticipated visual for her well-received single and worship anthem, Your Banner I Raise, lifted from the ‘What a Joy‘ Album. Shot by X-base films in Lagos, Nigeria, The vibrant music video features cameo appearances by her team GLA, Psalmos, and friends. It also serves as the first visual taste from her latest project. ‘Your Banner I Raise’ was performed by Boluwaduro and her amazing team of worshipers, GLA (God’s Living Altars).